Your customers overlook your great discounts and sales? No more! 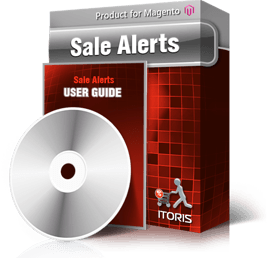 Sale Alerts module is for your customers to select the products they are interested in and organize them in a special ‘sale waiting’ list. As soon as there is a price reduction, your customers will receive email notifications with the selected products, old and new prices to compare the discount. They can also track the price reductions directly in their account in the sale list they have created. Customers want even more sales? They can reset the price for discounted products and start tracking from the discounted price anew. Now your sales will never be missed!